• There are 136 rooms and 10 suites. • Easo restaurant, the Saignon cafe and the Gritti bar. • Conference and reception facilities, a business center, a wedding and reception facilities. • Located on the Paseo Republica Argentina street. 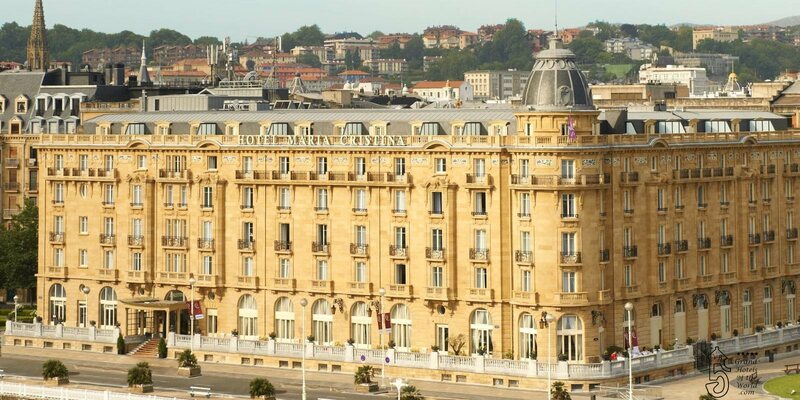 San Sebastian is close to the French border (Biarritz). • 1910: Construction of the Hotel under the architect Charles Frederic Mewes, the architect of Cesar Ritz who also build the iconic Hotel Ritz in Paris (1895-1898), the no longer existing Hotel Carlton in London (1897-1899), the Hotel Ritz in London (1904-1905) and the Hotel Ritz in Madrid (1908-1910). • 1912: Opening of Hotel Maria Cristina.